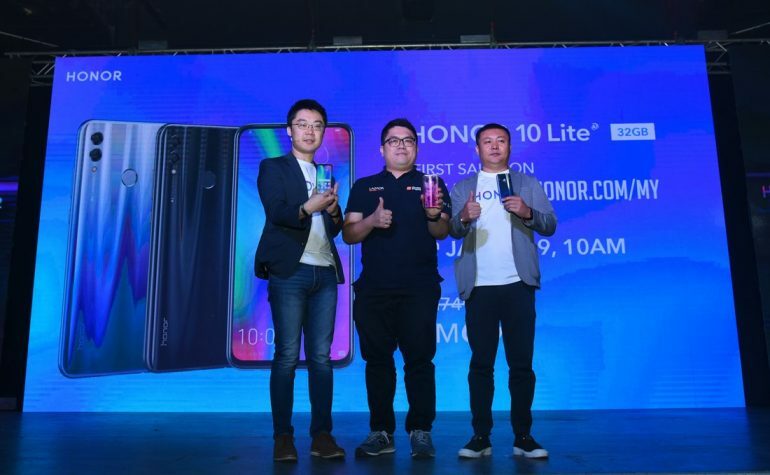 After many teasers, Honor 10 Lite has finally made its official debut in Malaysia earlier today. We already experience the phone firsthand right here and already aware that it will be made available for consumers tomorrow which means now it is time to see how much it going to cost in our market. 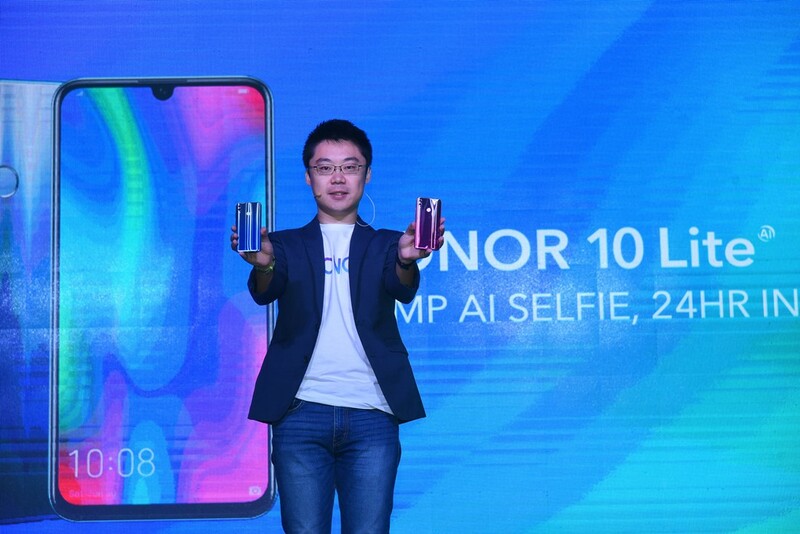 For starters, the Honor 10 Lite will be released in two different RAM and storage configurations. The first variant comes with 3GB of RAM and 32GB of internal storage while the second variant has the same amount of RAM but with double the storage capacity of 64GB. Available in the sleek looking Sky Blue colorway alongside Midnight Black, the 32GB model is the model that will be made available in Malaysia tomorrow. On another hand, the 64GB model will only be released at a later date and can be obtained with Shiny Red as well as Sapphire Blue colorways. Price-wise, the 32GB model will be available for RM 749 but in conjunction with its launch tomorrow, the phone can be obtained for RM 699 exclusively through Lazada as well as Honor Malaysia’s official website. As mentioned before, there’s also the same day delivery offer too for early birds that are located in Klang Valley. 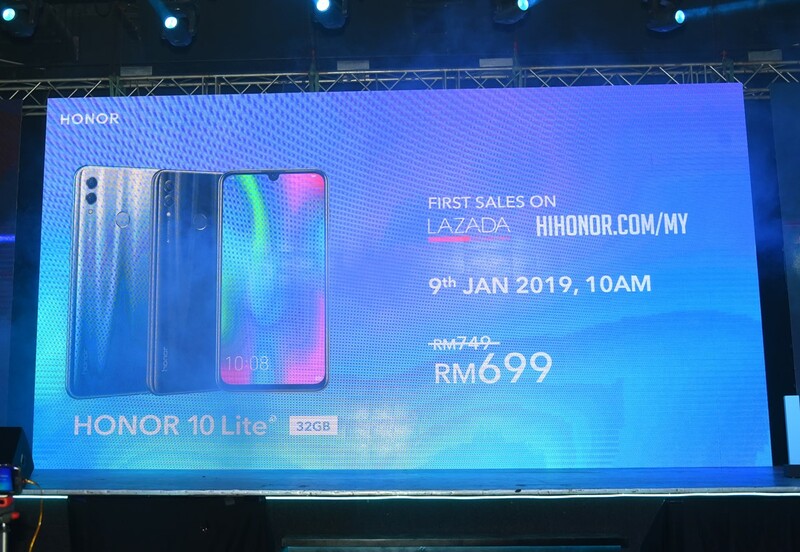 It is not known when the Honor 10 Lite 64GB will be heading to Malaysia but nevertheless, Honor Malaysia has stated that it will be priced at RM 799. To learn more about the phone, do check out our hands on experience with the phone right here.